Are you planning to entertain this holiday season? Our Flagstaff apartments offer the best environment for loved ones and friends to celebrate! Here are some holiday punch recipes to greet your guests with! Grog, sometimes called Pirate’s Grog, is a hearty, rich punch that your holiday guests will love. Be prepared to give out the recipe because you’ll surely be asked for it! In a tall, tempered glass or mug, add all the ingredients except the cinnamon stick. Fill to the brim with hot water and stir. Garnish with the cinnamon stick. This recipe is good if you want to use a large punch bowl at your holiday party. It makes 12 servings. In a pot, simmer the water, sugar, and ginger until the sugar dissolves completely. Remove from the heat and add the mint leaves (save a few for the garnish). Let steep for half an hour. Strain out the mint leaves. Add the mixture to the punch bowl and stir in the apricot brandy. Stir in the seltzer water. Sprinkle a few mint leaves on top for garnish. Try this recipe for a lighter, more elegant holiday punch drink. Serve in brandy glasses. Serves 12. In a pot, simmer the water, honey, lemon juice, star anise, cinnamon sticks and cloves. Let simmer for 15 minutes. Add everything to the punch bowl, including all the rest of the ingredients. Provide ice cubes to chill individual servings. 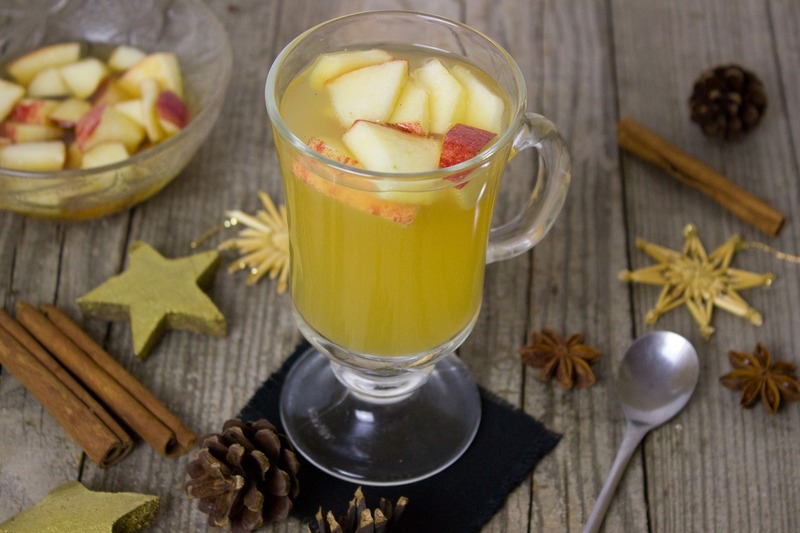 These holiday punch ideas will surely liven up any holiday gathering! To see how enjoyable it is to host parties in your Flagstaff apartments, please contact us today!